Terrific Ways to Stretch Your Brain! Acclaimed teacher and puzzler Evelyn B. Christensen has created one hundred brand-new perplexing and adorably illustrated games for young puzzlers. There is something for every type of learner here, including number puzzles, word puzzles, logic puzzles, and visual puzzles. She has also included secret clues the solver can consult if they need a hint, making the puzzles even more flexible for a wide skill range of puzzle-solvers. Arranged from easy to difficult, this is a great book for any beginning puzzler. With the game types intermixed throughout, it’s easy for a child who thinks they like only math or only word puzzles to stumble across a different kind of puzzle, get hooked, and discover—oh, they like that kind, too! Regularly practicing a variety of brain games can help improve and develop memory, concentration, creativity, reasoning, and problem-solving skills. 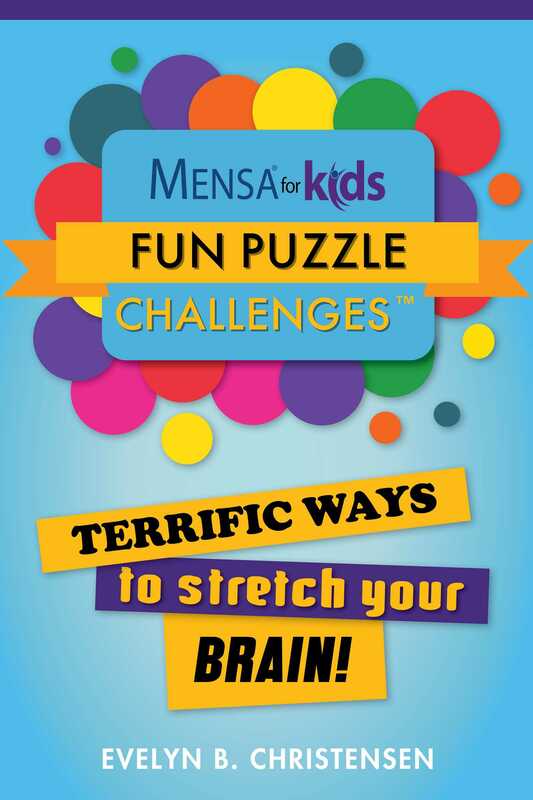 Mensa’s® Fun Puzzle Challenges for Kids is a learning tool everyone will enjoy!